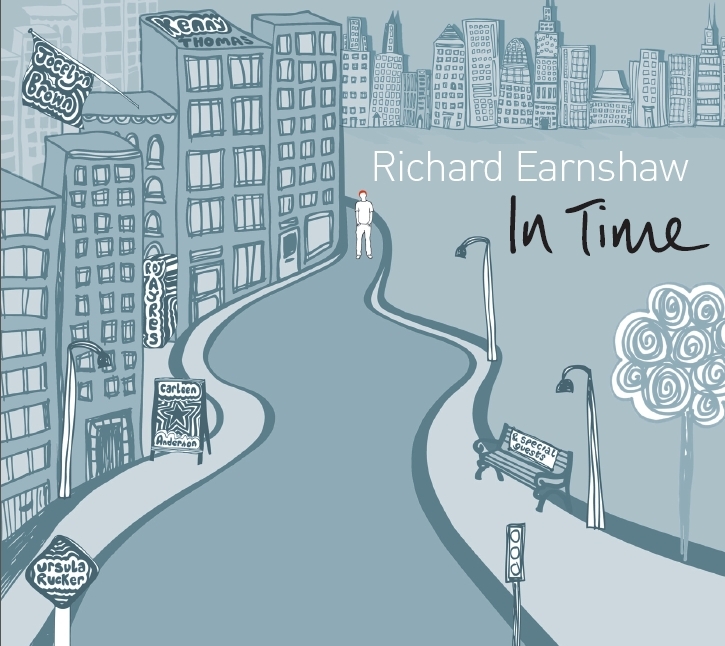 In August this year UK based DJ/Producer Richard Earnshaw released his debut album ‘In Time’ on Groovefinder. I missed out on it at the time, but heard one of the tracks on SmoothFM in a taxi this weekend and was blown away by its subtle take on modern soul. Further exploration led me to the album and to my delight i found a subtle fusion of Jazz moods and House textures along with elements of Boogie and Soul. The album has been likened to a present day embodiment of the spirit of Nuyorican Soul and is imbued with traces of riffs from the soul and disco world that gave birth to House music. One of the more laid back cuts on the release is his interpretation of the old standard Cry Me A River, the song which prompted me to discover the rest of the release. Set to a head nodding 2 step beat, and featuring the vocal talents of Imogen Ryall, the space in the production is arresting, and the deep synth swells and jazzy keyboard work add a feel of Detroit to proceedings. There are a few upbeat remixes of this number floating about out there, including Richard’s own classic vocal mix, but the pick of the bunch is this mellow house rework by the ever reliable Leftside Wobble, slated for official release in late April. hailing from the icy lands of finland, come a real warmer for the approaching autumm season. that is the classy and superb edits of kojak giant sound singles. they label have grown silently and surely. the first vinyls were given to phonica in london, but now they have hit the extremely efficient warehouses of juno. there are 5 highly sought after affairs to be grabbed. none is crap. all fillers. leftside wobble, growing in the shadows of soundcloud and a proven master editor, bring us the classics ‘don’t cost you nothing’ by ashford & sipmpson with the right amount of dubs and extensions. dropping the cheese only when necessary. the b side is a fine business too. 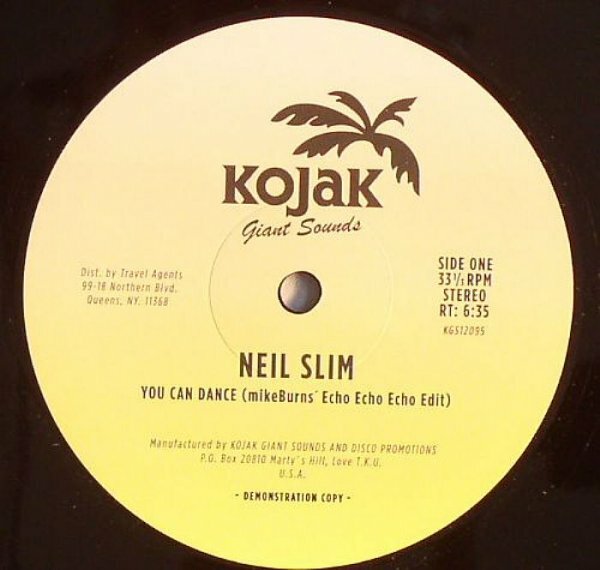 Neil Slim’s big macho voice that is given to us in ‘you can dance’ is properly manipulated to maximum effect by another maestro. in skillful manner mike burns tease us with the vocals and drum breaks converting this vinyl in a perfect tool of mass deception for those who do not dig the real deal that disco house has become. a brutal monster that will not leave any hip standing still. so there you go. down in spain kojak is a popular brand of lollipops that pretty much destroyed your set of teeth. up in finland it is a very promising new label that is helping keep the reedit business back in the game. hey dancers and hedonists alike! our next party is on Friday 9th of December at The Corner in Manchester, UK. From 10pm until 3am. Top aural sounds, dancing moves and hands in the air guaranteed. Come early and get a special CD to remember the good moments that we provided you with! We have our own view on the meaning of 21st century pop music. We play all forms of disco, house, techno, electro, post punk, balearic, nu and ole wave, psychedelia and a bit of 20th century synth pop. We are dj's keen on playing anywhere for some monetary remuneration, so write us at DISCOFUTURA@GMAIL.COM if you would like us to properly enhance your bar/club atmosphere. We also do house parties, weddings, funerals, baptisms, or divorce celebrations! We adjust our playlists accordingly. Digital music in its mp3 form is here for promotional and educational purposes only. The files posted are available for a limited time and are for personal use only. If there are any issues with any of the files posted, please let me know. The aim of this blog is to help discover and highlight the eventful history of dance music which does not receive much airtime or disregarded by mainstream media outlets. Again, if you are the owner of the copyright, and not happy with me promoting your delightful music, contact me. If you have enjoyed the discovery of new music through my website, please please please, go and support the artists and label that battle very hard everyday to not go bankrupt.